Marion was born in Sayre, OK and graduated from Sweetwater High School. He continued his education at the Elk City School of Preaching (receiving a certificate), and Oklahoma Christian College (Greek). He has earned the following degrees: Associate of Science, Bachelor of Science, Master of Science, and a Doctorate of Education. He and Cynthia have three children. All of Marion’s local work has been in Oklahoma. 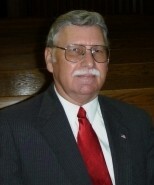 He has preached for over forty years and thirty of that has been with the Barnes church of Christ. 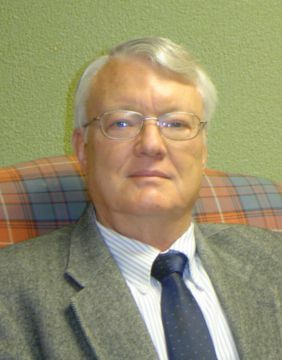 He is the Director of the Oklahoma City School of Biblical Studies. He has had articles appear in the following papers: Gospel Standard, Firm Foundation, Contending for the Faith, One Heart, Gospel Preceptor, and Think. He written the following books: A Study of the Biblical Flood, The Work of the Holy Spirit, Vol. I, The Work of the Holy Spirit, Vol. II, The Role of Women, Vol. I, The Work of Women, Vol. II, The Great Commission. 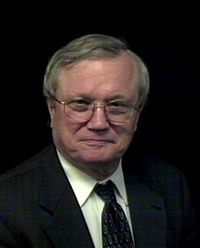 He has also written many outline books for OKCSBS, including: Fundamentals of the Faith, A Study of Angels, Satan, and Demons, and Logic and Debate. Marion has engaged in five oral debates and two written debates. Frank was born in Seminole, OK, attended Yuba Junior College (Marysville, CA), and the Northside School of Preaching, Harrison, AR, receiving a Master’s in Sacred Literature. He and his wife Martha have four children. Mike was born at Clark AFB, in the Philippine Islands. He and his wife Connie have two children. 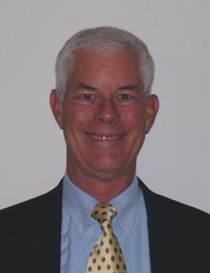 He attended Panhandle State University, Pepperdine University, Hawaii Pacific University and received the following degrees: BS in Chemistry, MA in Education, and an MS in Information Systems. Mike is not a full time preacher, but he has shared the pulpit in Kailua, HI from 1996 â€“ 2000 and has spoken on the OKCSBS Spring Lectures. He is a member of the Ridgecrest church of Christ in Midwest City, OK where he as served as an elder since October, 2001. Jerry was born in Amarillo, TX., but has made his home in Midwest City, OK, for many years. He served in the U.S. Army from June 1967 – June 1970. He received a degree in Mechanical Engineering from the University of Oklahoma. He did most of work at Tinker Air Force Base. Jerry and Judy have two children. Jerry has taught Bible classes at the Barnes church for many years. Last year, he taught the full year at the Oklahoma City School of Biblical Studies, and has been a very good addition to the school and with his “engineering” mind, he is very detailed in his teaching.